Is digital video the ultimate brand storytelling tool? With the consumption of digital content continuing to rise, it seems that digital video is fast becoming a brand’s best tool for attracting and engaging audiences. AR involves the imposition of virtual objects on the real world, and the suggestion is that AR ‘goggles’ are the next step for these companies.Snapchat has already utilised AR through its filters and lenses, which can be used to enhance users’ photos. Alongside Snapchat, whose 150 million daily users have provided a publishing platform, Apple, Google, Microsoft and Facebook have also expressed interest in new forms of motion content. Video, in all forms, is clearly very much ‘in’. The beauty of digital video is that it allows brands to engage with viewers on a deeper and more personal level by opening up a dialogue and communicating their values through storytelling and experiences. By creating video that is informative, emotive and relevant to people’s lives – rather than promotional – brands have the chance to identify with people and illustrate their shared values. The company consistently creates content and experiences that focus on adrenaline-fuelled extreme sports. This way, the company is able to reflect and reinforce the principles that underpin the brand and its origins: Red Bull ‘gives you wings’. Innovative content isn’t just for these industry heavyweights, however; with today’s lower production and distribution costs, it’s now accessible to all. Content strategy frameworks such as ‘Hero, Hub, Hygiene’ are helping brands to carve out a plan that is based on significant video launches, regular updates, and drip-fed content snippets, so that they can develop a digital identity and maintain consistent contact and customer engagement. It’s important to ensure that these strategies are developed with viewers in mind, however – not only in terms of the media they are consulting, but also with regards to what makes them tick. Most digital content is now closely tied with social media, which acts as a central hub for distribution and engagement. Facebook, Twitter, Instagram and YouTube all facilitate video content, but offer different exposure and styles of consumption. This is increasingly true for material posted by news sources, as well, which are often overlaid with subtitles or captions to account for this behavior. People’s desire to consume and engage with information and entertainment has driven the rise of video, alongside the pace of its technological growth. However, in order to stay relevant to consumers and capture their diminishing attention spans, brands need to tell their stories in a way that adds value to the viewer’s life. 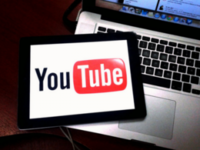 Posts related to Is digital video the ultimate brand storytelling tool?